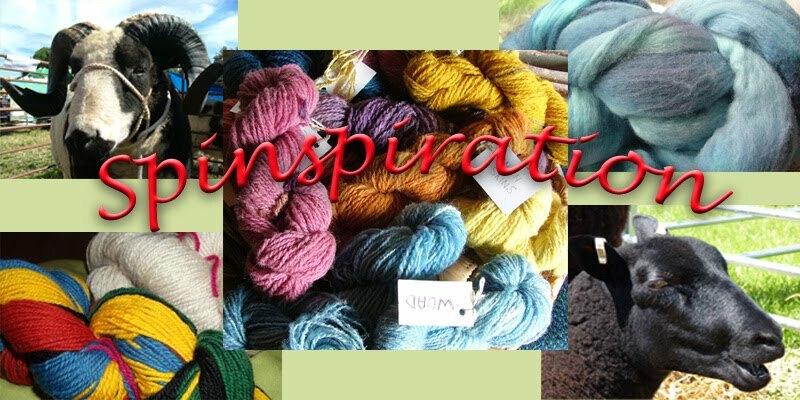 Spinspiration: Grab a Spinning and/or Weaving ebook bargain! Grab a Spinning and/or Weaving ebook bargain! You may recall a post back in April for a DVD bargain from Interweave. Well they have another couple of fantastic offers for the small price of 10 cents or 7pence in the UK (current conversion rate!) each. The first is an ebook of collected articles from Spin Off magazine called Spin your Socks, so if you are interested in tips for spinning to knit socks, carding and dyeing for sock yarns; working out socks in any gauge and patterns for socks this book may be for you. I have downloaded it here and it looks well worth 7 pence. The second is a weaving book for those interested in weaving and who own a 2 or 3 shaft loom (or if you're interested in weaving design) - projects that can be completed in a weekend.